Murray, Chris (ed). 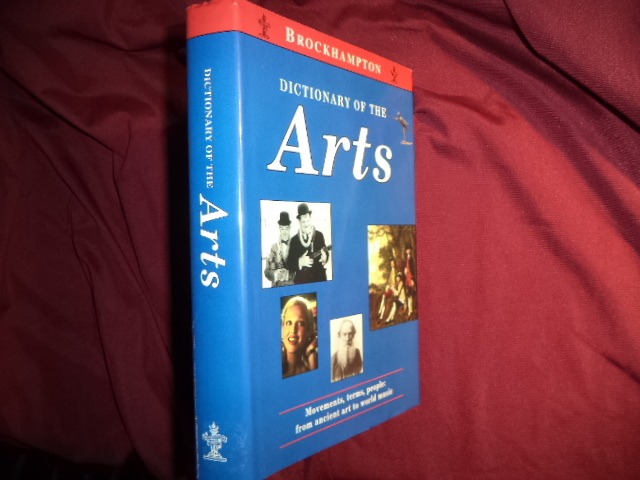 Dictionary of the Arts. Photo available. London. Brockhampton Press. 1997. 564 pps. Octavo. Hardcover. First edition thus. Important reference work. Fine copy in fine dust jacket (in mylar). Murray, G.E. Patrick. Bomber Missions. 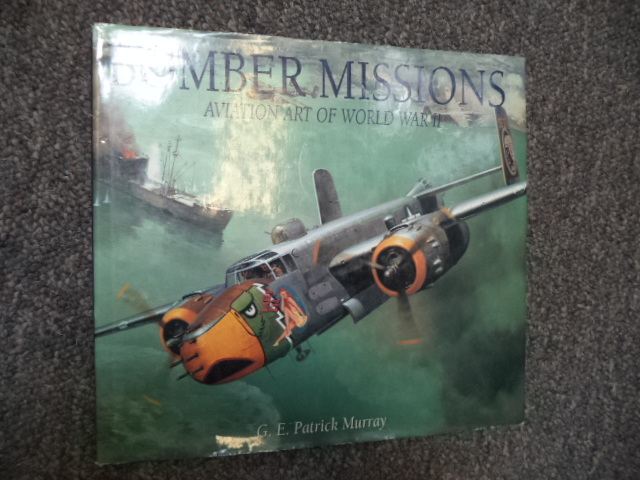 Aviation Art of World War II. Photo available. New York. Sterling. 2001. 4to. Hard cover. First edition. Illustrated in black, white and color. Fine copy in jacket with some closed tears (in mylar). Murray, Jeff. For Big Bucks Only. Photo available. Minneapolis. North American Hunting Club. 1989. Octavo. Gilt decorated hard cover. Reprint. Illustrated. Fine copy. Murray, Jim. Jim Murray. The Autobiography of the Pulitzer Prize Winning Sports Columnist. Photo available. New York. Macmillan. 1993. Octavo. Hard cover. Reprint. Fine copy in fine dust jacket (in mylar). Murray, Joan. Northern Lights. 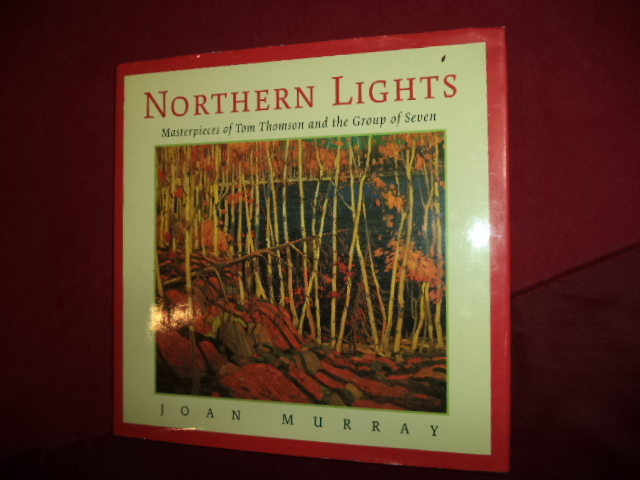 Masterpieces of Tom Thomson and the Group of Seven. Photo available. Ontario. Key Porter. 1994. 4to. Hardcover. Reprint. Illustrated in black, white and color. Important reference work. Fine copy in fine dust jacket (in mylar). 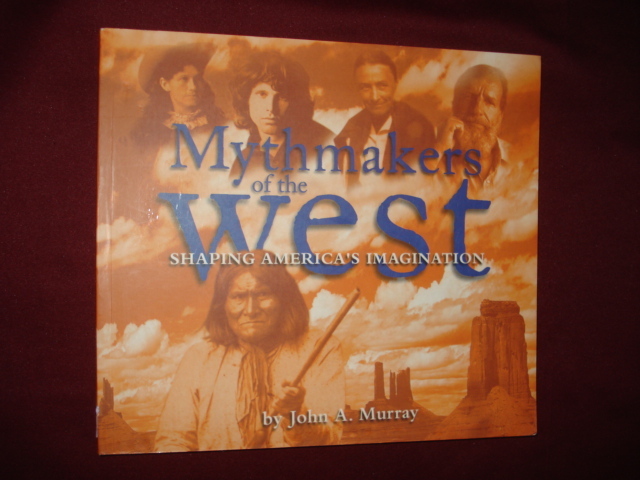 Murray, John A. Mythmakers of the West. Shaping America's Imagination. Photo available. Flagstaff. Northland. 2001. Octavo. Soft cover. First edition. Illustrated in black, white and color. Fine copy (web address on title page). Murray, Keith. The Modocs and Their War. Photo available. Norman. University of Oklahoma Press. 1969. 343 pps. Octavo. Hardcover. Reprint. Illustrated. Important reference work. Fine (owner name on end paper) copy in fine dust jacket (in mylar). Murray, Ken. 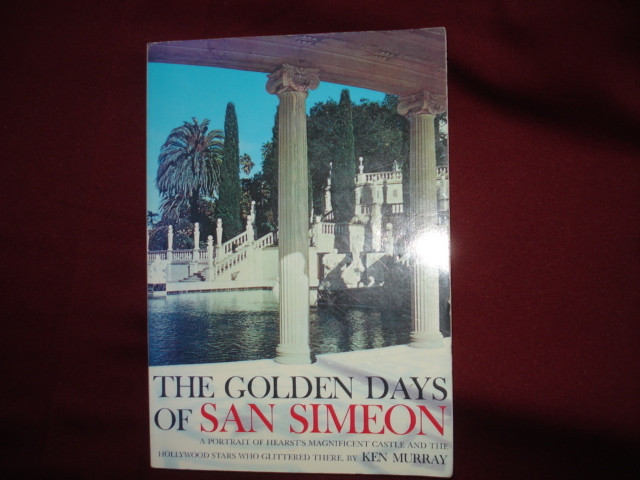 The Golden Days of San Simeon. Photo available. Los Angeles. MurMar. 1995. 163 pps. Octavo. Soft cover. Reprint. Foreword by Ronald Reagan, Governor, State of California. Illustrated. Fine copy. Murray, Ken. 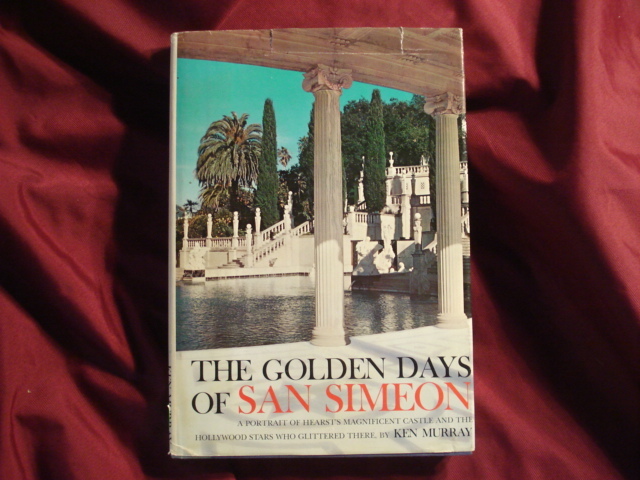 The Golden Days of San Simeon. Photo available. Garden City. Doubleday & Company, Inc. 1973. 163 pps. Octavo. Hardcover. Reprint. Foreword by Ronald Reagan, Governor, State of California. Fine copy in near fine (very light shelf wear) dust jacket (in mylar). Murray, Raymond. Images in the Dark. An Encyclopedia of Gay and Lesbian Film and Video. Photo available. Philadelphia. TLA Publications. 1995. 4to. Soft cover. First edition. Illustrated. Fine copy. Murray, Robert B. (ed). Colorado Ghost Town and Mining Camp Guide. Campground Directory Jeep and Hiking Trails. Maps, Town Sites, Brief Histories, Rail, Stage, Wagon Roads. Photo available. Basalt. Colorado Recreation Guides. 1982. 112 pps. 4to. Soft cover. Reprint. Illustrated in black, white and color. Important reference work. Fine copy. Murray, Robinson. Are Golfers Human? Photo available. New York. Prentice-Hall. 1951. Octavo. Hardcover. First edition. Illustrated by The Roth Foursome. Near fine copy (light spine sunning). Murray, Stuart A.P. The Library. An Illustrated History. Photo available. New York. Skyhorse Publishing. 2009. 310 pps. 4to. Hardcover. First edition. Illustrated in black, white and color. Important reference work. Fine copy in fine dust jacket (in mylar). Murray, Thomson. License Plate Book. How to Read and Decode U.S. and Canadian Plates. Photo available. New York. M. Evers. 1992. 128 pps. Octavo. Decorated hard cover. Reprint. Illustrated in black, white and color. Important reference work. Fine copy. Murray, Venetia. An Elegant Madness. 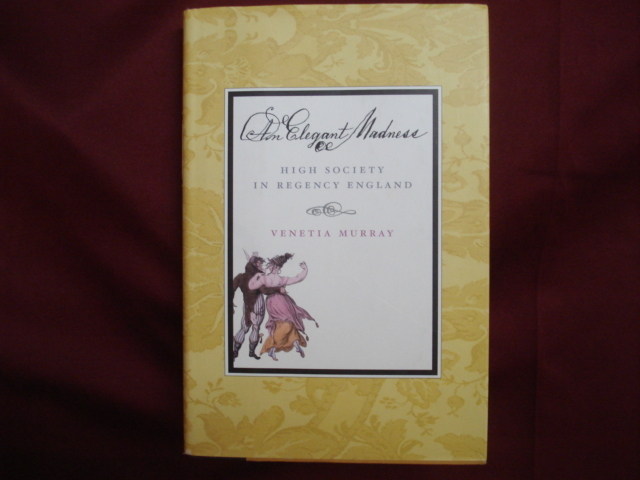 High Society in Regency England. Photo available. New York. Viking Press. 1998. Octavo. Hard cover. Illustrated. Fine copy in fine dust jacket (in mylar). Murthy, Prof. K.R. Srikantah (trans) & Sarngadhara. Sarngadhar-Samhita (A Treatise on Ayurveda) . Photo available. Varanasi. Chaukhambha Orientalia. 2001. 4to. Hardcovers. Reprint. Important reference work. Fine copy in fine dust jacket (in mylar). Murthy, Prof. K.R. Srikantah (trans). Bhavaprakasa of Bhavamisra. 2 volumes. (Text, English Translation, Notes, Appendeces and Index). Photo available. Varanasi. Chaukhambha Orientalia. c. 2003. 4to. Hardcovers. Mixed editions. Three volumes. Important reference work. 8 pounds. Fine set in fine dust jackets (in mylar). Muscarella, Oscar White (ed). Ancient Art. The Norbert Schimmel Collection. Photo available. Mainz. Verla Philipp Von Zabern. 1974. 4to. Soft cover. First edition. Illustrated in black, white and color. Near fine copy (very light shelf wear). Muscatine, Doris. 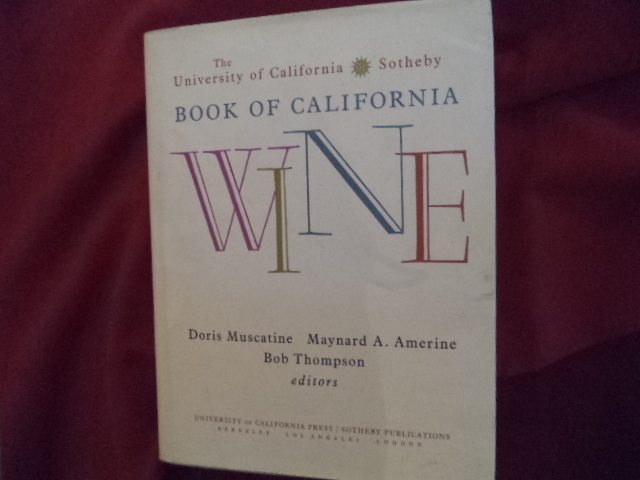 Book of California Wine. Photo available. Berkeley. University of California Press. 1984. 616 pps. 4to. Hardcover. First edition. Full number line. Illustrated. Important reference work. Fine copy in fine dust jacket (in mylar). Musgrove, Margaret & Leo Dillon. 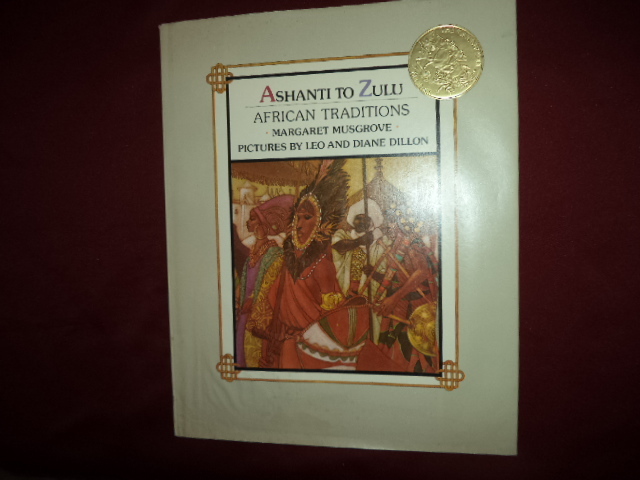 Ashanti to Zulu. African Traditions. Photo available. New York. Dial Press. 1977. Folio. Hardcover. Second edition. Illustrated in black, white and color by Leo and Diane Dillon. Fine copy in fine dust jacket (in mylar). Musser, Cynthia Erfurt. Precious Paper Dolls. Photo available. Cumberland. Hobby House. 1985. 4to. Soft cover. First edition. Illustrated in black, white and color. Fine copy. Muther, Kay. 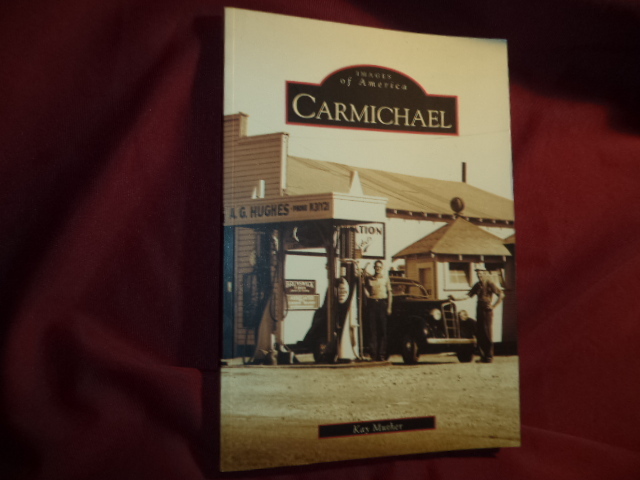 Carmichael. Images of America. Photo available. Charleston. Sacramento Archives and Museum Collection Center. Arcadia. 2004. Octavo. Soft cover. First edition. Illustrated. Fine copy. Muther, Kay. 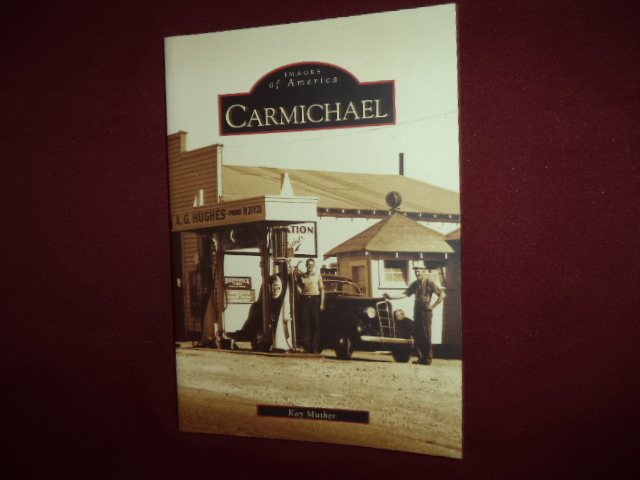 Carmichael. Images of America. Photo available. Charleston. Arcadia. 2004. Octavo. Soft cover. First edition. Illustrated. Important reference work. Fine copy.